Britain's favourite playground game as a board game! 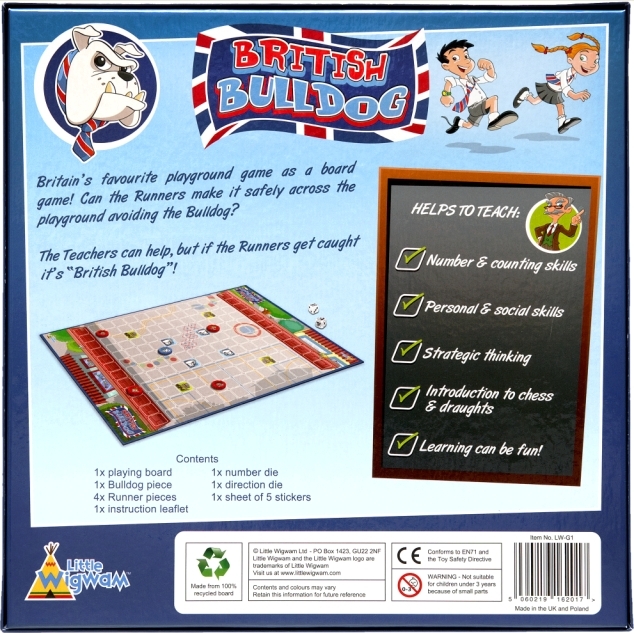 Can the Runners make it safely across the playground avoiding the Bulldog? 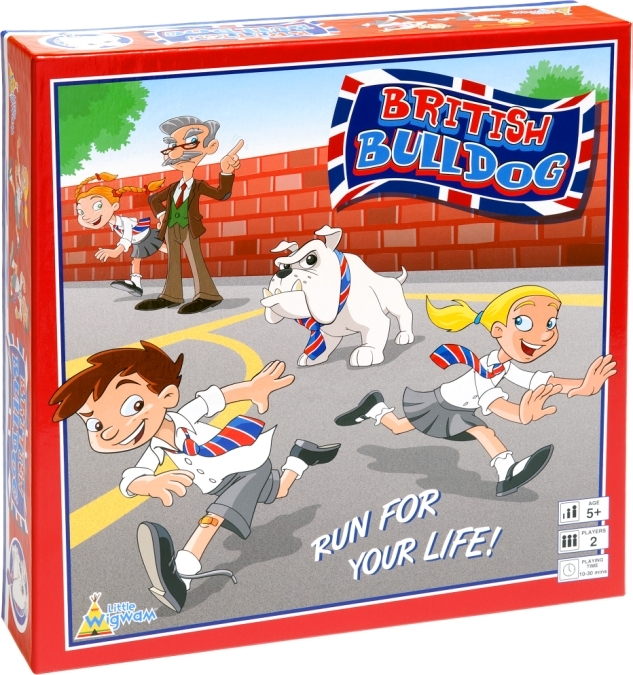 The Teachers can help, but if the Runners get caught it's "British Bulldog"!